The Seven Seas Award signifies the highest international recognition to a cruising sailor whose experiences on the sea demonstrate a deep commitment to good seamanship and an understanding of his ship and environment. Selection is on a worldwide basis and is not restricted to SSCA members. Since SSCA came into existence over 60 years ago, this honor has been awarded in only about one-third of those years. 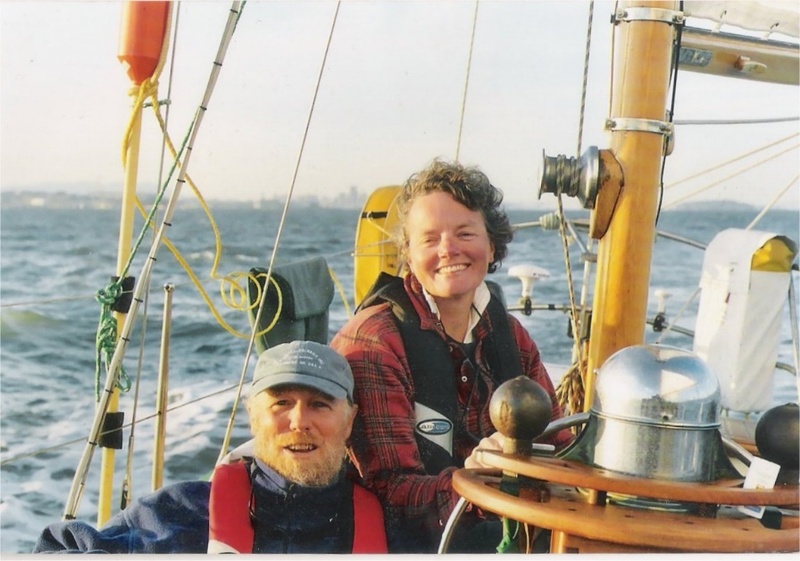 David and Candy totally rebuilt their 1962 steel yawl Endeavor (including replacing 30% of the plating over a period of approximately 15 years), and after a few shake-down cruises sailed her from Seattle around Cape Horn, out to Ascension Island, back and forth on the Atlantic seaboard, north via Iceland to Ireland, Scotland, and beyond. Along the way they wrote, mentored many sailors, and worked as crew, shipwrights, canvas workers, and master ships carpenters. While in Patagonia, they did a special charter with National Geographic taking a camera crew to waters rarely explored, and shared all of this in the SSCA Commodores’ Bulletin, at many gams and in other published articles. They were true experts at high-latitude sailing. It was a great honor to sail with them and have Candy crew for us. We lost David this year and the cruising world is a lesser place because of it. David and Candy Masters are the finest sailors I have ever known, and they are better people than they are sailors. David and Candy represent the finest traditions of SSCA.